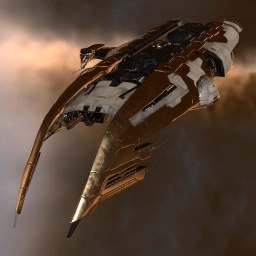 The Coercer is an Amarr T1 Destroyer. It uses lasers as its weapon system. With the Retribution patch, it gained a much needed 2nd mid slot and lost a low. The extra mid slot makes it better for kiting in solo/small gang PvP (before it could do it, but either someone needed to point the target, or they had to die before they realized they weren't pointed). The Coercer is great for applying ranged DPS in comparison to the other gun based destroyers, especially with T2 pulse. It can't do quite as much raw DPS as a Catalyst, for example, but it applies its damage at much greater range. It doesn't have as high of alpha as a thrasher, but at the same range, it applies much higher DPS. Further information about additional or recommended skills to pilot Coercer for a specific or it's common role(s) can be written here. No sub-article about Coercer roles or piloting tactics. You can write them here. This page was last modified on 17 August 2018, at 22:05.